Pure un-molassed quick soaking, high fibre, low sugar, starch-free sugar beet pulp. Beet pulp is usually fed in addition to hay, but occasionally is a replacement for hay when fed to very old horses who can no longer chew properly. A premium source of super fibres for healthy digestive function. The World’s No. 1 Quick Soaking Sugar Beet Flakes. Speedi-Beet® is fast, convenient and is the healthy option for thousands of horse owners who now use the product and rely on its benefits. Speedi-Beet® is made from pure unmolassed sugar beet pulp which is a by-product of the sugar beet industry. Sugar beet is grown in Europe and North America as an alternative to sugar cane which is grown in tropical and sub-tropical regions of the world. 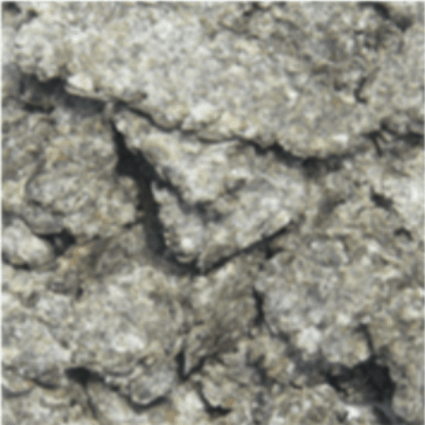 It is mainly grown as a source of table sugar for human consumption. Mix 5 parts of water to 1 part of Speedi-Beet® by weight, that’s about 2½ parts of water to 1 part of Speedi-Beet® by volume. Leave to soak for 9 minutes using cold water or 5 minutes using hot water (fantastic in the winter to warm your horse). Once Speedi-Beet® has been soaked it can be fed straight away or it can be kept in a cool environment, enabling you to still prepare in advance if you wish. Unlike other sugar beet products, Speedi-Beet® will absorb up to 5 times its own weight as water. The bulking capacity, however, is mediated by its patented production process and will improve the inherent digestion in the horse. It is therefore recommended that concentrate allowances should be reviewed after a few days to ensure the animal does not gain weight too fast. The following recommendations are for guidance only. If replacing conventional sugar beet with Speedi-Beet® direct substitution can be carried out. Because of improved nutrient availability it will be necessary to adjust current feeding regime accordingly. Where Speedi-Beet® is introduced care should be taken to offer in increasing amounts, initially, to achieve recommended levels. As Speedi-Beet® is highly palatable beware of overfeeding. As a guide, horses require 2% of body weight as feed per day. At least 25% must be fed as forage, or high fibre alternatives. Speedi-Beet® can be fed up to 30% of the daily feed, depending on the circumstances. 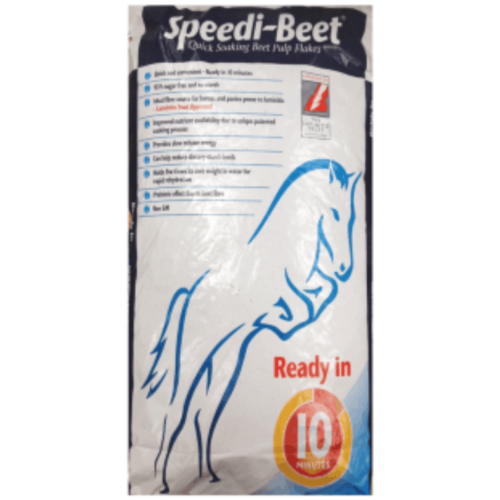 As a feedstuff: Up to 20% of concentrate allowance, either as commercial feed or cereals can be substituted with Speedi-Beet. Adjust feed allowances accordingly. 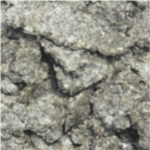 As a palatant: Up to 5% of concentrate allowance as a top dressing for hard feeds or where palatability is a problem. As a conditioner: Use 10% of concentrate allowance, mixed into the concentrate to maintain optimum condition in roughed off horses or to fill out of condition horses. As a nutritional aid: In cases where early grass growth leads to conditions of hind gut acidity, Speedi-Beet can be fed prior to grazing to reduce grass intake. Speedi-Beet is high in pectins and low in starch, allowing correct microbial fermentation and reducing the effect of acidosis related problems.